Have you ever felt too tired to walk at the end of the day or just wanted to get somewhere faster? 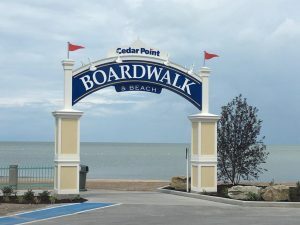 Great news…Cedar Point has introduced a new attraction this year on the newly renovated beach Boardwalk called Boardwalk Cruisers. 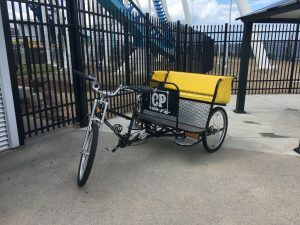 This attraction features a journey in a bicycle-pulled chariot, commonly known as a bicycle rickshaw or pedicab, from one end of the Boardwalk to the other. The price is very reasonable at $5 per group for one way or $10 for a round trip if you were just looking for a way to relax. 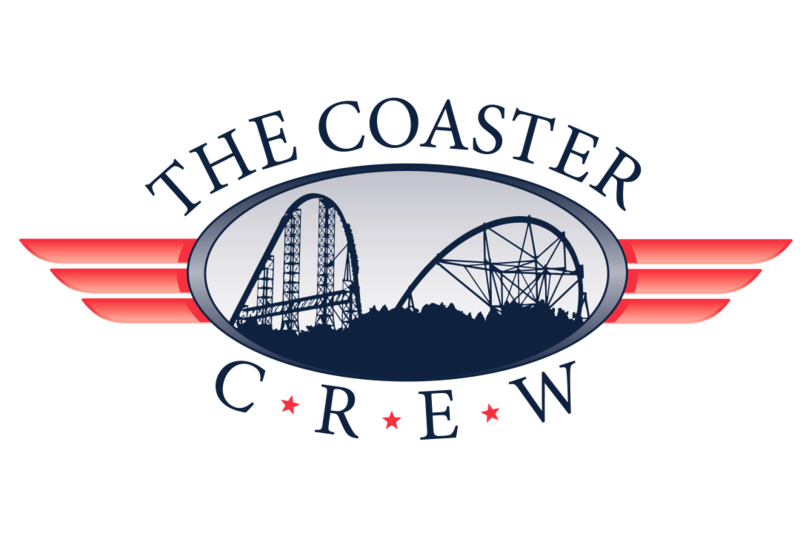 I decided to check out the Boardwalk Cruisers the other day with another Coaster Crew member. 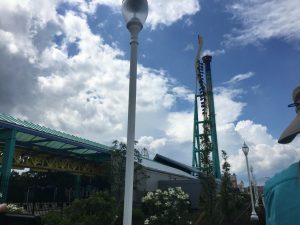 We walked on the path in the main parking lot over by Gatekeeper. 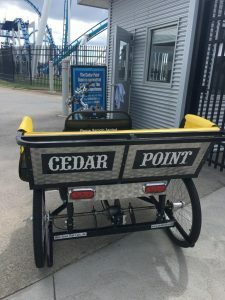 When we reached the Boardwalk sign, we saw a yellow chariot sitting outside the Boardwalk. A friendly worker then greeted us and asked us where we wanted to get dropped off. 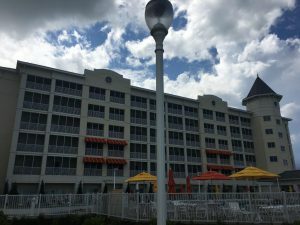 We decided to go to Hotel Breakers, so it only cost us $5 for the two of us. 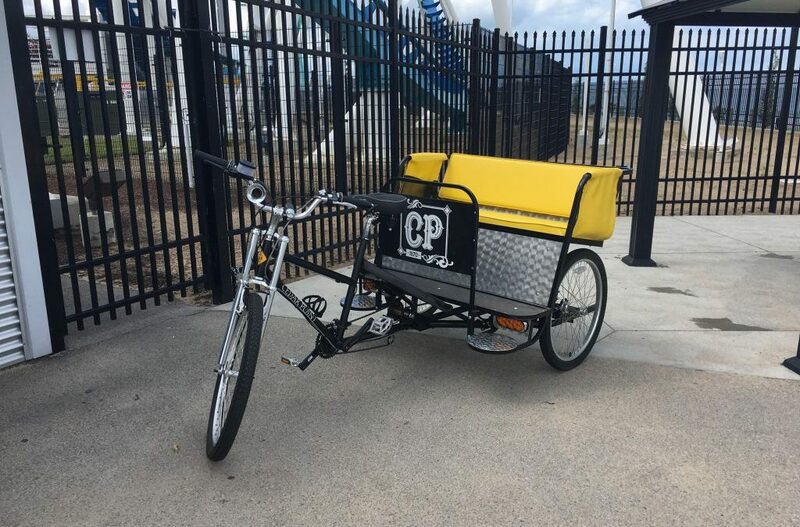 After we boarded the chariot, the driver started pedaling the bike and we were on our way. The driver was very nice and informative. 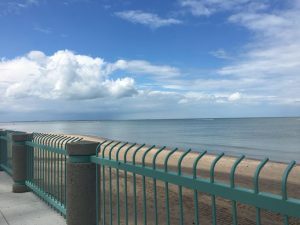 He told us that the distance between one end of the Boardwalk and the other was about ¾ of a mile. 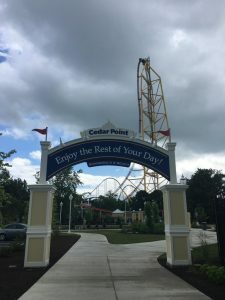 He also told us some facts about Cedar Point and the renovations done on the Boardwalk and at Hotel Breakers for this year. 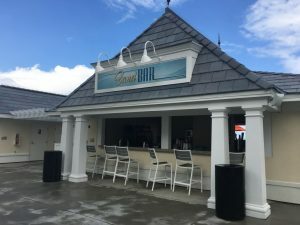 The most noticeable renovations are the Sand Bar in front of the hotel, the new wing of the hotel, and obviously the new area of the Boardwalk over by Gatekeeper. The driver was so nice that he took us all the way to the other side of the Boardwalk and then turned around to go back and drop us off at Hotel Breakers. There, we got off and gave him a tip for his kindness and hard work. Overall, I believe that this is a very cool and affordable experience. 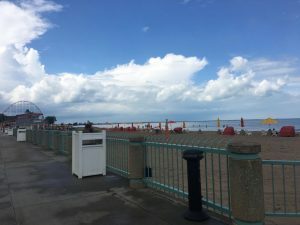 You get to relax while enjoying fantastic views of the Cedar Point beach. Also, you can get to your destination faster without having to walk. I highly recommend that everyone tries out the Boardwalk Cruisers at some point this season. You will not regret it.